Whitesnake leader and former Deep Purple vocalist David Coverdale has released a new video eulogy tribute to keyboardist Jon Lord. The pair were Purple bandmates from 1973-76 in versions known as “Mark III” and “Mark IV” of the group’s lineup. 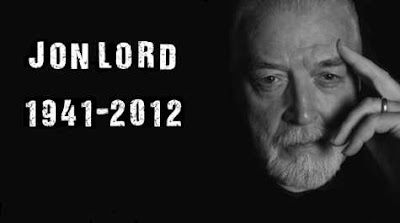 Lord passed away July 16 at the age of 71 after a long battle with pancreatic cancer. Coverdale speaks fondly of his friend and remembers his first meetings with Jon - supporting Purple, joining Purple and rehearsing for the “Burn” album. The legendary keyboard player co-wrote many of the band’s legendary songs, including “Smoke On The Water,” and played with many bands and musicians throughout his career.